We enjoy providing drain repairs and maintenance work to a diverse range of commercial businesses in London and Kent, providing our trademark high quality, client focused services. Broken and blocked drains in business are one of the worst things that can happen to a company, especially those who deal with the public such as bars, hotels and restaurants. Unfortunately these same businesses are the most prone to having issues like these, due to things like high usage and cooking fats getting into the system. Our range of commercial drainage services can cope with any problem and we always work to get it done as quickly as possible so you can get on with work; with options like no-dig drain repairs, drain re-lining techniques and CCTV surveys we can also ensure costly and time consuming excavations are avoided whenever possible. We work across Kent and London, so wherever you are located across the South East, call us now on 0800 781 8922 and we'll arrange your free property survey and no obligation quotation at your convenience. We’re the best choice for fast, efficient and reliable drainage repairs and CCTV drain surveys, whether you’ve got a simple blocked toilet or a mystery cracked pipe buried in the ground leaking waste. 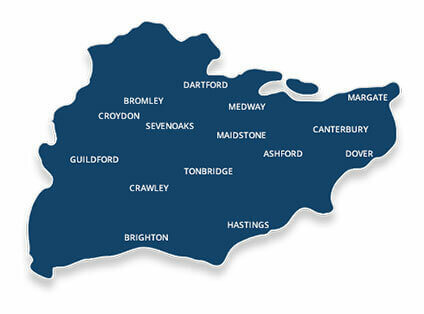 Based at five sites across Kent to offer fast emergency call outs we cover London, Gillingham, Chatham, Tunbridge Wells, Bromley, Rochester, Strood, Maidstone, Sidcup, Dartford, Gravesend, Sittingbourne, West Malling, Guildford, Woking, Leatherhead, Farnham, Orpington, Bexley, Sheerness, Crayford, Sheppey, Margate, Herne Bay, Ramsgate, Faversham, Tonbridge, Crayford, Sussex, Surrey and Medway. 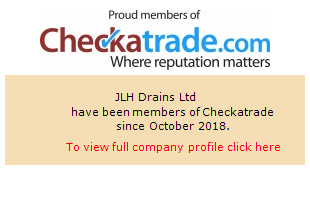 No matter what requirements you have for commercial drain repairs, re-lining, CCTV surveys, drain unblocking, cleaning or fault finding, put it in the hands of the blocked drains specialists at JLH Drains; contact us today to arrange a no obligation survey and quotation with one of our experienced engineers. Working throughout Kent, Medway, London, Surrey, Sussex and the South East, we specialise in providing commercial clients with fast, affordable and highly effective cracked drain repairs services. Need your commercial blocked drain repaired urgently? Call our 24hr Telephone Helpline! Alternatively, get in touch with us today for your no obligation quotation as well as a reliable and affordable drainage service.